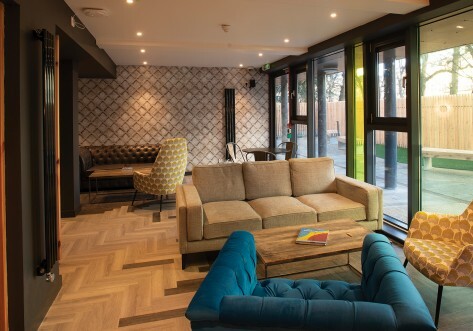 McDonald Road has been created for a 21st century student lifestyle. 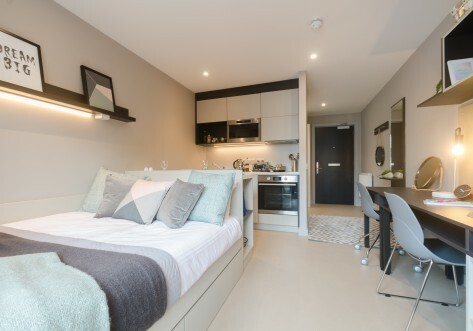 Our en-suite bedrooms are set within three, four or five bedroomed cluster apartments with shared kitchen facilities. 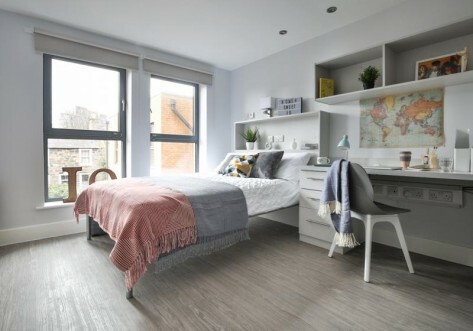 Within walking distance of all the main colleges and university campuses and only 5 minutes from Edinburgh city centre, McDonald Road is perfectly situated for you to indulge in this creative and historic cityAt Collegiate we believe in setting a higher standard in student living. 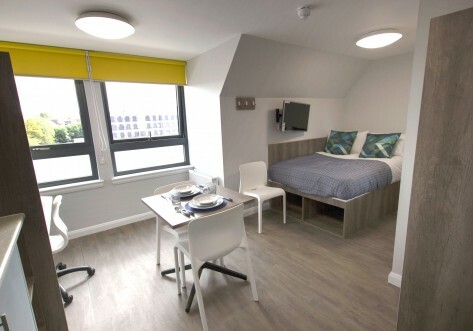 Our student apartments on McDonald Road enjoy a common room with games table and TV as well as an on-site laundry. High-speed broadband and Wi-Fi is fitted throughout, plus with secure electronic access, on-site management and CCTV, we’ve taken every step to ensure your safety and security. Set in the heart of Edinburgh where centuries of history are fused together with culture and cosmopolitan living, McDonald Road couldn’t have been more perfectly situated. A short walk from the heart of Edinburgh and its variety of shops and historic buildings. Room in a 3 bed apartment. Perfect for friends wanting to share facilities. Smart rooms with kitchen shared, each having their own en-suite bathrooms. We offer double occupancy on some of our rooms, providing the room is large enough, please enquire for more details.